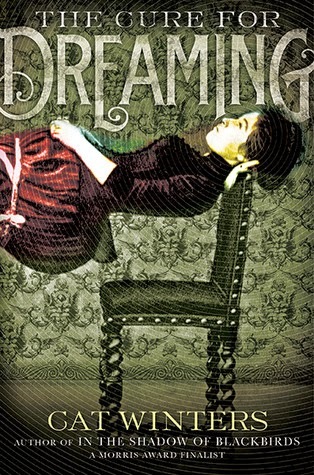 The Cure for Dreaming by Cat Winters presents the story of Olivia Mead--a young suffragist in 1900 Portland, Oregon whose headstrong and determined ideas regarding women's rights cause her father to hire a performing hypnotist to hypnotize Olivia into being a more docile and submissive woman. Unbeknownst to her father, the hypnotist instead unlocks Olivia's mind to the ability to see people beyond their physical appearance and into their souls to see their true nature and intentions, while continuing her fight for women's rights. I was drawn into this story right away with the presentation of Olivia Mead. She is the daughter of a dentist who is a prominent man in the city of Portland, and has to live up to her father's expectation that she be the perfectly well behaved and content with her place in society of being subservient to all the men in her life. Unfortunately for her father and his expectations, Olivia is also incredibly smart, well read, a progressive thinker, and determined to achieve more in her life than marrying high in society. She has dreams of going to college, having her own career, and standing with the suffragists on the courthouse steps, demanding the right to vote. While the story focuses on the story of one girl during this time in women's history, it is without a doubt a fantastic metaphor for the experience of women as a whole. Olivia's father hiring a hypnotist to alter his daughter's mind in order to silence her free will and her expression speaks to the suffrage movement and how people opposed to the movement and opposed to women being granted the same rights as men were striving to oppress and stifle the voices of an entire segment of the population. The very essence of this story is that it is a fictional story illustrating a very real period in time when women were fighting for their right to vote, their right to be heard, and their right to be equals. Cat Winters has drawn in elements of the supernatural in order to highlight an important historical moment. 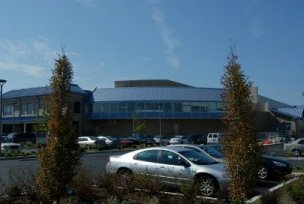 The Cure for Dreaming by Cat Winters is available as an audiobook at the Ocean City Free Public Library.